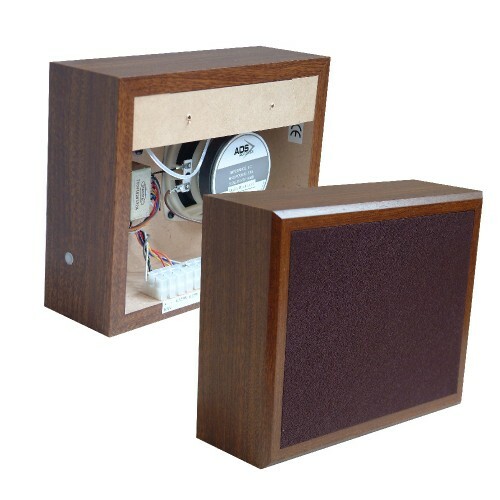 The Kestrel 4 Plus is a furniture quality cabinet Speaker constructed from MDF to EEC regulations. It provides 4 watt rms output, giving good speech and background music reproduction and each Speaker comes complete with a self-levelling wall bracket. It is ideal for use in shops, stores, warehouses, offices, and any premises where aesthetically pleasing Speakers are required (in reception rooms such as in surgeries, for example). The Speaker can be used on 100 volt line Public Address systems (with power tappings down to 0.125 watt). Aesthetically, the Kestrel 4 Plus features attractive MDF profiles, the specially sculptured edges offering both style and protection not found in edge banded products. Inlaid baffle cloths match the colour of the cabinet. The speaker incorporates the latest safety features, including block terminal guards and a hanging block safety strap for added safety should the Speakers be damaged or become dislodged. The Kestrel 4 Plus is available in teak and white and has been designed to accommodate an add-on volume control which can be fitted before despatch if required, or supplied separately. (The white unit is also available manufactured complete with volume control.) 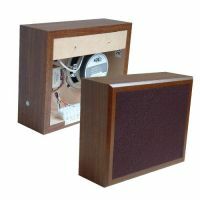 4 watt rms output, 100 volt line, cabinet Speaker available in teak or white. .4 watt, 2 watt, 1 watt, 0.5 watt, 0.25 watt and 0.125 watt and power tappings. .Furniture quality, with sculptured edges offering both style and protection. User-friendly, self-levelling wall bracket.Safety features include block terminal guards and a hanging block safety strap. Can accommodate an add-on volume control which can be fitted before despatch or supplied separately.